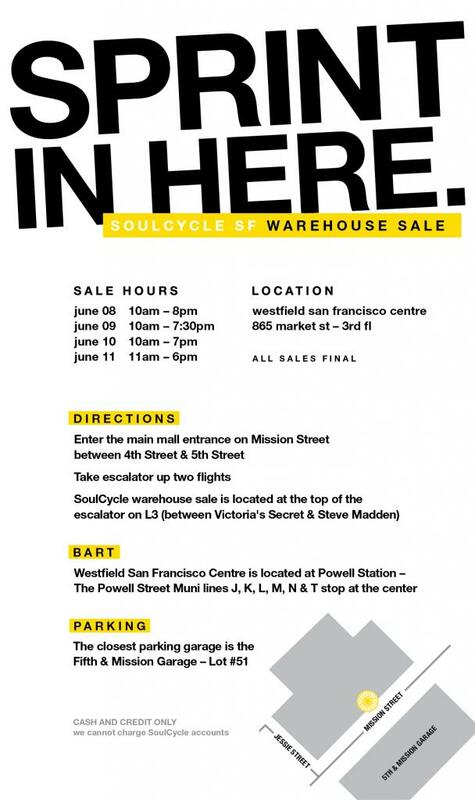 Get your hands on leggings, t-shirts, tanks, sweatpants, bras and accessories from SoulCycle at discounts of up to 40% off in their three day sample sale! Find them at level three of Westfield San Francisco Center (next to Victoria's Secret). Cash and card accepted.